For me circle lens it's like makeup for the eyes. Even without any makeup on, circle lenses can make your eyes look big and bright and more awake. 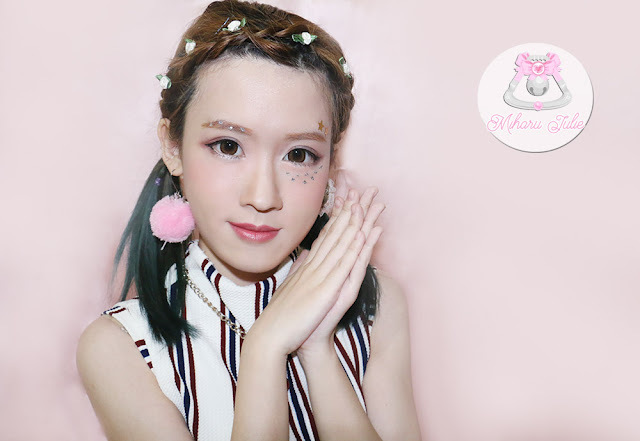 The O-Lens Baviphat 3 Color She’z Brown Circle Lens has been one of my go to’s lately only because it is not only enlargening it looks extremely natural! It is called BIG for a reason. These lenses have a diameter of 14.5mm but big enough without looking over the top. I got O-Lens Baviphat 3 Color She’z Brown Lens from Pinkicon. Pinkicon is Hongkong's largest online Korean circle lens store. (Pinkicon is pronounced as Pink-icon) They provide over 300 different design of color lens. The contact lenses are all guaranteed 100% authentic. They also offer free shipping worldwide! Since the mother company of Pinkicon is the Solo agent of NEO and GEO contact lens, enable us to have sufficient stock so as to guarantee a superior customer experience with the latest, fastest and widest selection of contact lens. What I love about these lenses is the fact that it has a soft edge, without a harsh dark black line, it enlarges your eyes but looks completely subtle while doing so. Lenses with a black ring tend to make your eyes look HUGE but it’s a little bit more obvious looking. The lens is very thin and one of the most comfortable lenses I've worn! I’ve tried so far and it can give you a good 8 hours wear without any issues. As you can see from the above photos, They look so natural because of the soft outer ring which is brown. They also lighten your eyes and make it look sparkly which I love! The O-Lens Baviphat 3 Color She’z Brow lenses add quite the dolly look to the eyes without causing a drastic enlargement effect. The opacity is quite good at covering brown eyes. they make the eyes have a very rich medium brown color that still looks on the natural side. Don't forget join Miharu Julie Pink Box Giveaway!! It's so easy to join! Check it out here to find out how. 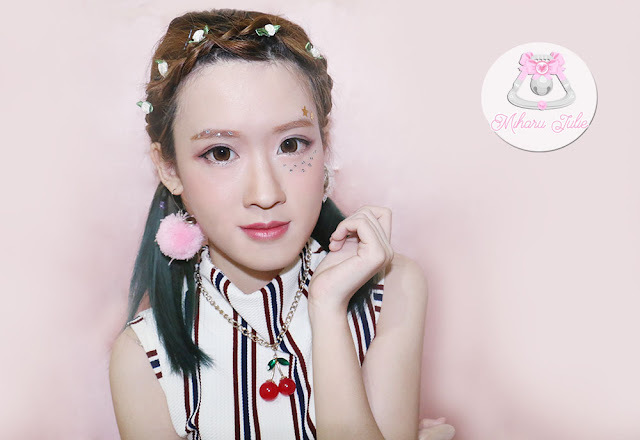 Great lenses, and I love your makeup, very subtle and sweet! lovely lenses! They made you look so different! omg i love that glittery freckles yg disebelah itu. cocok banget. bikin kesan playful!